Student staff workers exploring the Laser Cutter and UV printer to make Thanksgiving gifts. 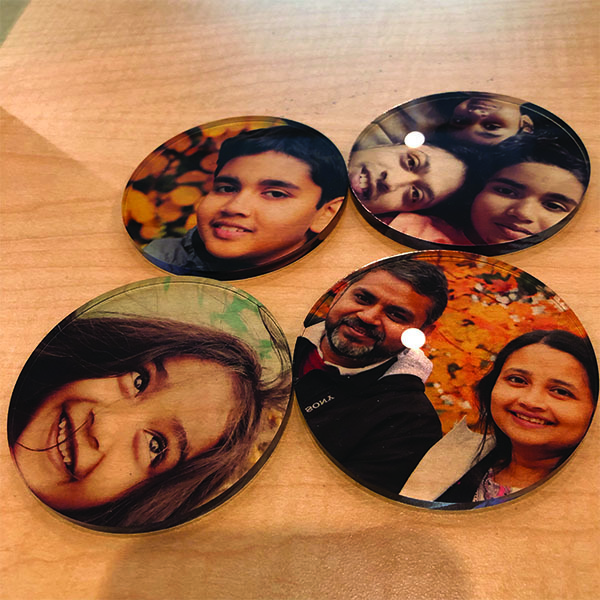 Abhinav from MFA Interaction Design made these coasters to give to his family members on Thanksgiving. Abhi plays with the thickness of the transparent acrylic sheets creating some interesting optical illusions to dazzle the fam.